I think I have enough shells to last a while. This was my first time ordering from u s shell Inc, which is great if you are okay with buying in bulk. 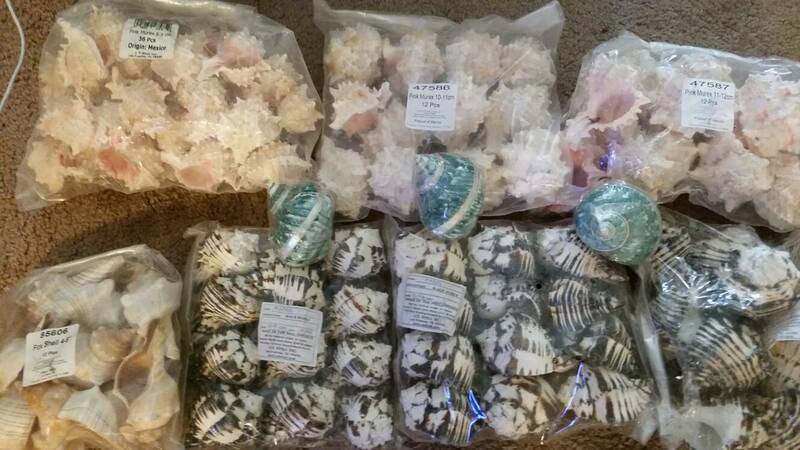 Only fellow crabbers would understand spending heaps of cash on shells, and being this excited to see them arrive. My crabs are all well beyond jumbo-sized, and it gets harder and harder to find a good deal as the shells get larger and larger. This online store might be of use to others with large hermit crabs. Ohhh nice! Those green turbos are gorgeous! Glad to bring joy to others. I was so tempted to post this to my personal Facebook page, but most of my friends really would officially label me the Crazy Crab Lady. And, yeah, the turbos were a bit of a splurge by comparison to the bulk murex prices, but I could not resist. Here's a shot of the haul after rinsing. A few had minor damage, but still well worth it when compared to the price I would have paid if buying individual shells that range from 3 to 6 inches each. While only three of seven are up at the moment, one has already swapped out for a new shells, which makes me very happy. *FYI, U.S. Shell Inc. has begun to specify shell opening, as well as size, for crabbers like us. Again, if you've got larger crabs, they're worth checking out. Speaking of which, has anyone thought of updating the crab sizing chart to go beyond jumbo-sized? 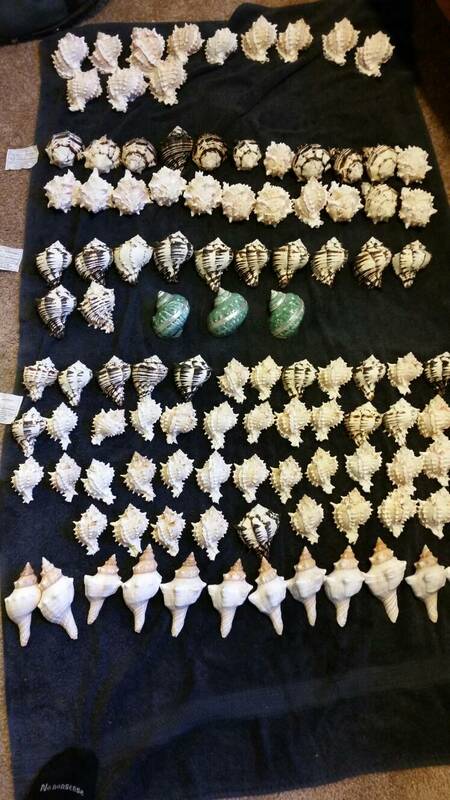 jclee wrote: I think I have enough shells to last a while. This was my first time ordering from u s shell Inc, which is great if you are okay with buying in bulk. Nice find! I'll have to check them out later!